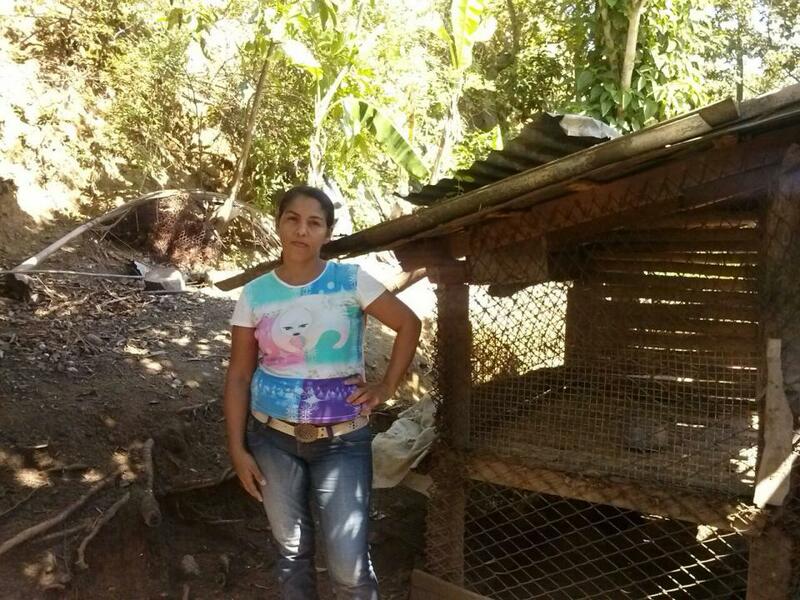 A loan of $875 helped to purchase some chickens and materials to build a shed. Deisy is a country woman and the mother of two daughters. She has faced many setbacks in her life for her daughters, but she has always had the fortitude to keep moving forward and continue progressing with her family. For quite some time, Deisy has wanted to start a business raising and selling chickens. That is why she is requesting some big financial help, so she can purchase some chickens and materials to build a shed. With this new business, she will be able to generate income for her family, who are everything for her, and to improve her husband's and daughters' quality of life. Deisy will work hard every day to drive her business forward and make it into a sustainable and profitable business. Support a hard-working woman with a loan! Deisy es una mujer de campo y madre de 2 hijas por las que ha tenido que pasar por muchas adversidades en su vida, sin embargo siempre ha tenido la fortaleza para salir adelante y continuar progresando con su familia. Desde hace tiempo ha querido montar un negocio de cría y venta de pollos. Es por eso que solicita un gran aliento económico para comprar algunos pollos para cría y materiales para la construcción de un galpón. Con este nuevo negocio podrá generar ingresos para su familia que es todo para ella y podrá mejorar la calidad de vida de su esposo y sus hijas. Trabajara todos los días para impulsar su negocio y hacerlo una actividad sostenible y rentable. Apoya a una mujer trabajadora con un préstamo! By supporting this loan, you're helping a borrower launch a new business! This loan is designed for an entrepreneur who needs working capital to start a brand new business. Along with the loan, Kiva's field partner Interactuar provides counseling, training courses, and other financial resources to help new, riskier entrepreneurs set up young businesses.